An unemployed computer technician has been charged with committing a terrorist hoax on an Ontario nuclear plant, in an apparent bid impress the facility’s management and score a job. This bizarre, macabre-yet-slapstickian concept, however, is more troubling than humourous and just the latest Canadian terror hoax, which are occurring with increasing frequency. Llyod Charest was found guilty of four charges related to committing a terror hoax and misleading authorities earlier this week, in a plot meant to convince Ontario Power Generation a terror attack was imminent. The National Post's Stewart Bell wrote about the court ruling on Friday, describing how Charest claimed he received evidence of the attack from an online source named Striker, in what appears to be an attempt to impress authorities and win himself a job at Ontario Power Generation. 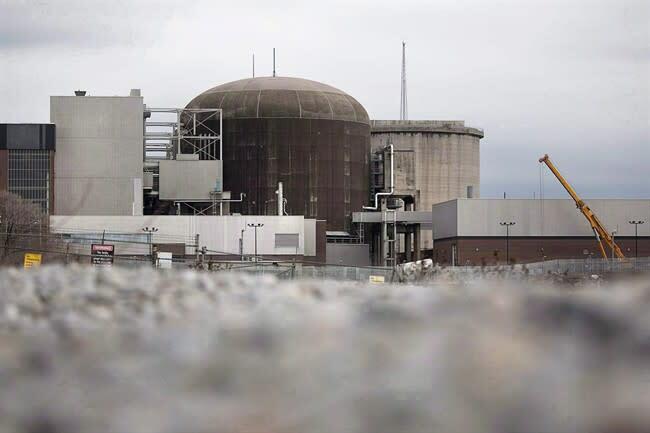 The Ontario Superior Court of Justice ruled earlier this month that Charest has spliced floor plans of the Picker Nuclear Generating State into an image of the Koran that had been posted to a jihadist website. The image also included a message reading, "the time was now. It was Allah’s will." He then took the evidence to contacts at the power plant, who took the threat seriously and contacted police. I conclude that Mr. Charest made up the evidence intending to mislead authorities. There is a reasonable inference that this information would lead to judicial proceedings wherein someone would be prosecuted for terrorist activity. At that time, the terrorist group called the Toronto 18 were in the news and had led to heightened security by the Pickering Nuclear Station. If there were people to be thought responsible at the time of this revelation, the Toronto 18 group were in that category. In the years since the 2001 terror attack in the U.S., and the infamous Toronto 18 terror plot in 2006, the prevalence of terror plots, both real and faked, has increased exponentially. According to Statistics Canada, there were 114 terrorism-related incidents, including hoaxes, in 2012 — 55 more than the previous year. "This increase was largely because of an unusually high number of hoax terrorism incidents, most of which occurred in Quebec during the student demonstrations in the Spring of 2012," the agency writes. During the Quebec demonstrations, several people were arrested on terror charges, including some found carrying explosive devices. More recently, a couple was arrested in British Columbia for allegedly plotting a Canada Day terrorist attack, and another two men were arrested in alleged plot on board a passenger train near Toronto. Earlier this week, a 25-year-old man was arrested at the Montreal airport and charged with carrying out a terrorism hoax for uttering threats on board a flight to Istanbul. The potential for terrorist attacks his higher now than in the past, thus the threat of such attacks is taken more seriously. The idea that those grave concerns would be leveraged in a bid to secure a job is unconscionable. Yet here we are. When computer analysts are faking attacks on nuclear facilities to make an impression, something isn't going right.